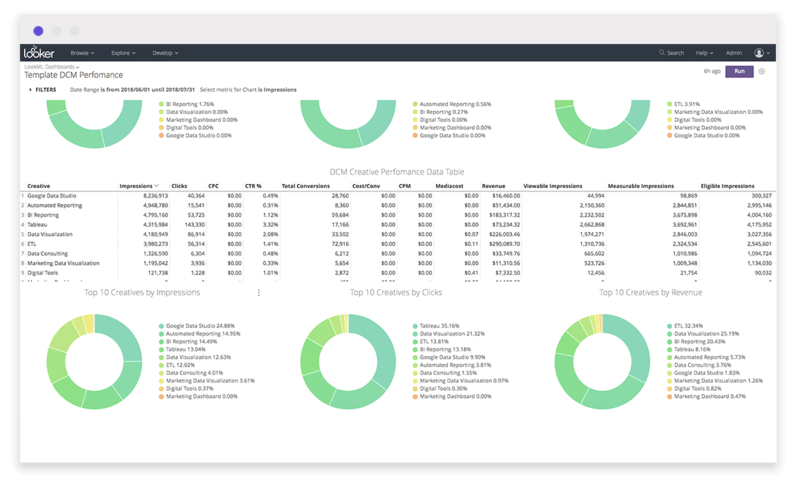 Understand your company’s display marketing performance with Google DCM Analytics by Improvado. In minutes, gain a birds-eye-view of your account or get granular all the way down to the site and creative levels. 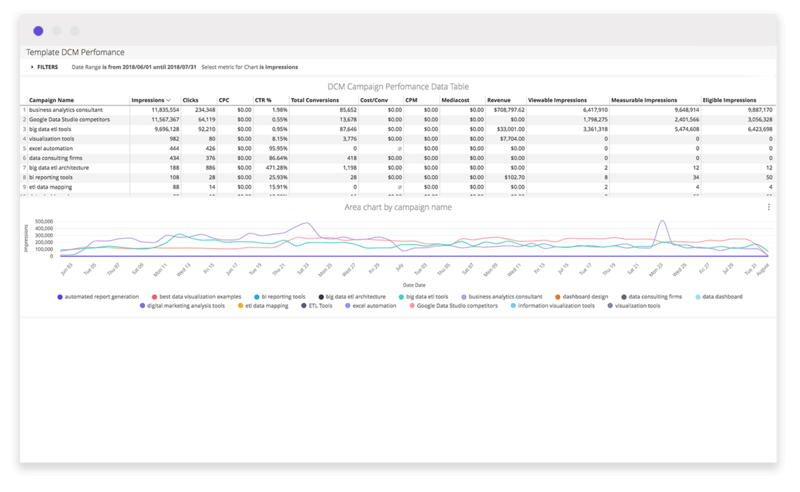 Monitor DCM performance by campaign, site and creatives. Add on Improvado’s Advertising Analytics, Agency Analytics, YouTube Analytics and Twitter Analytics blocks blocks to gain a more comprehensive analysis of your display, social media and search performance.